Why Take Chances With Your Vacation Plans when you can call The Travel Gallery, a full-service, fully bonded travel agency that has assisted travelers since 1976? Our travel professionals have more than 400 years of combined travel experience in vacation, corporate, meetings & incentives for companies large and small, and group travel arrangements (especially for family reunions and inter-generational travel). We have been around the world and can share our knowledge of it with you. The internet is an excellent research tool, but we believe that nothing is better than first-hand experience to guide you through the labyrinth of choices available. Certified Disney Specialist ... and more! 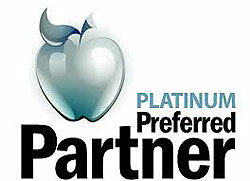 PEARLS Accredited Partner (Paul Ganguin Cruises) ... and much more! 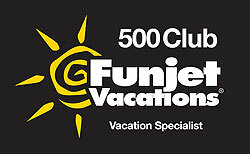 The Travel Gallery is a member of Apple Vacations' prestigious "Platinum Apple" circle of agencies and Funjet Vacations' "500 Club." We are recognized annually by Princess Cruises, Holland America Cruises, Carnival Cruises, Royal Caribbean Cruises, Celebrity Cruises, Globus Journeys, Insight Vacations and others for our knowledge and expertise. These awards give us not only a nice "pat on the back" but additional opportunities to offer our clients the best value in a tour or cruise package. When the time comes to make vacation plans, we hope that you will give us a try. 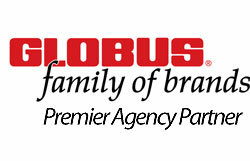 We'd love to earn your business!